Of course, just knowing that there needs to be some sort of a balance in place is not necessarily going to be hugely useful for a lot of people. It’s almost intuitive that people need to have something between the roots and shoots of the plants in order to help them grow more successfully. 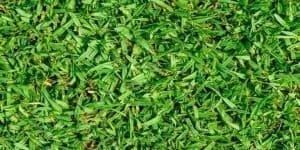 Some thatch is necessary for the health of a lawn. It makes sense that this would be the case. The real question should then concern exactly what constitutes ‘too much’ thatch. Thatch is made from stems, leaves, and roots. Some of this material is still alive, and some of it is dead. 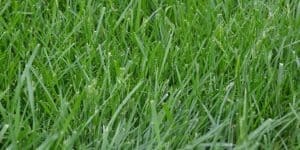 It’s a natural part of a given ecosystem, which is one of many reasons why it is not desirable to get rid of it altogether for the sake of a lawn. 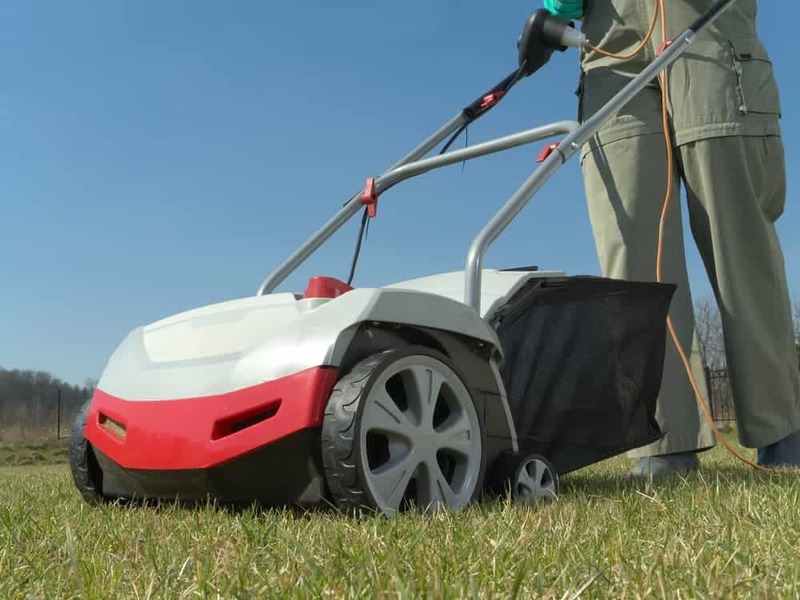 However, some degree of dethatching can be helpful for any lawn. Obviously, it can be difficult to say exactly how much thatch a given yard should have. 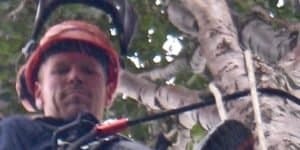 However, it is clear that it is a good idea for the thatch layer to measure around one half or three quarters of an inch. If there is a small and compact layer of thatch like this, it can actually help a lawn in many ways. In fact, removing this thin layer can actually be very problematic for a lot of reasons. 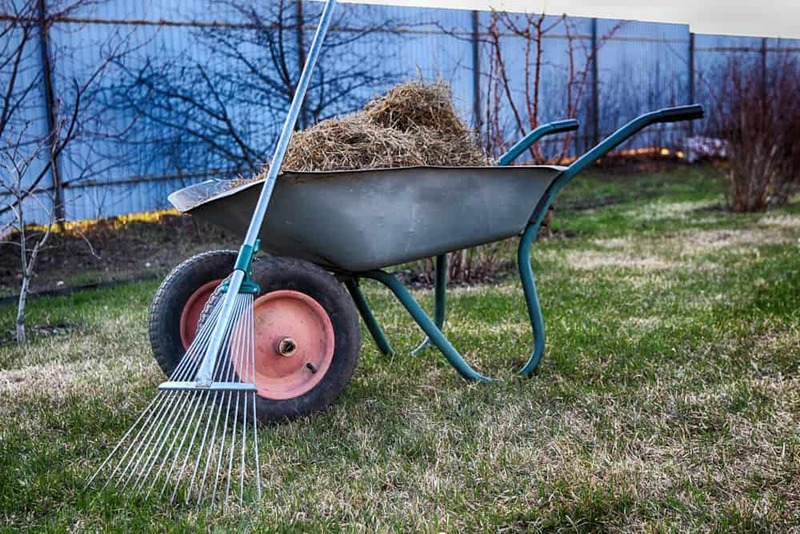 A thin layer of thatch will cause the soil to become healthier, mulching and nourishing it at the same time. The soil will also become cushioned, making it that much easier for it to get all of the support that it needs. 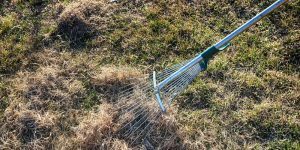 Thatch can truly manage to offer a lot of support for the soil, which has a tendency to lack that kind of support at the best of times anyway. There is also the fact that thatch is very valuable when it comes to stopping the water loss that can occur under these circumstances. 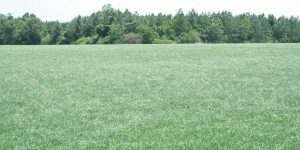 It will typically slow down the rate of the water loss, which can be enough to help to nourish the soil and keep it moist. Given the rate at which water can be lost under these circumstances, it is useful to have thatch in place to retain some of the moisture that can be lost along the way in a soil ecosystem. The temperature of the soil will also have a tendency to change much more rapidly than people might think. The rate of temperature change might also be different compared to the rate of temperature change elsewhere in a given ecosystem. 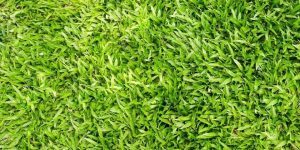 The grass crowns will be much more insulated as a result of all of the thatch, and this will tend to make things easier for the people who are trying to maintain their grass in a time of extreme temperature variations. There are some points in the year where the temperatures are going to change so much that it is certainly important to give the grass some defenses, and it makes a big difference if the thatch levels in the ground are ideal. The lower grass blades will actually not be able to get the sunlight that they need if the thatch layer has become too thick. 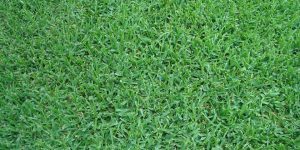 This automatically means that some of the grass could die if the thatch layer becomes too thick in a given yard. 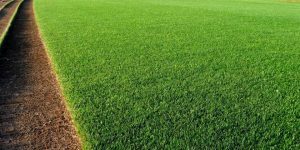 Essentially, very thick thatch can more or less create a situation where the soil will have this very thick layer on top that is going to disrupt the natural flow of nutrients and everything else. Water and fertilizer will not be able to get to the soil as easily under these circumstances. 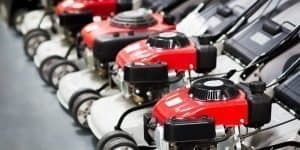 Since pest control and disease control will not be able to get there either, that will only make things more difficult for the people who are trying to maintain a given yard or garden. The grass blades can actually start to dry out under these circumstances. This clearly means that they are not going to get the moisture that they need. However, it also means that they are going to be that much more vulnerable to disease. 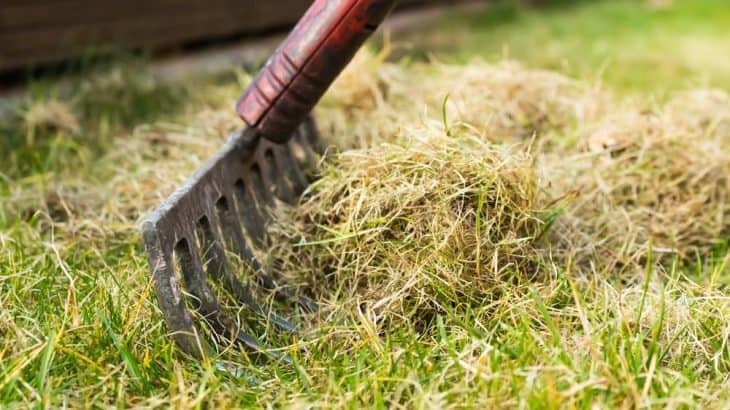 A layer of thatch that is much too thick can truly cause an entire lawn to become diseased, causing a particular area to suffer when it comes to nourishment and stopping people from being able to prevent problems with a lawn from happening in the first place. 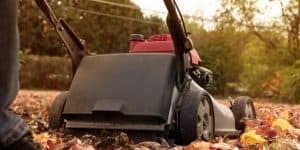 Under these circumstances, dethatching will certainly help a given yard or garden. People just have to have some way of determining whether or not the yard has reached the point where the thatch layer is too thick. 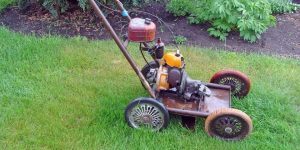 Having the right level of thatch is truly one of the most important parts of lawn maintenance, even though it is something that a lot of people have a tendency to neglect at different points. There are ways to measure the thatch content of a yard, or at least estimate how much it is likely to have. It is sometimes difficult to know for sure. 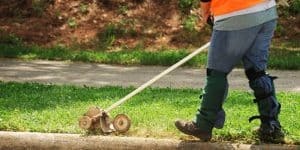 However, if people are able to recognize the symptoms of a yard that does not have enough thatch, they can sometimes work backwards in order to figure out if they should avoid dethatching. 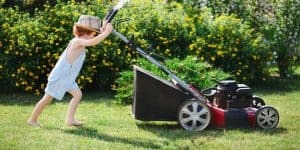 Similarly, the yards that do have a lot of problems with too much thatch can develop a set of recognizable symptoms. Heavy clay soil is more likely to develop issues with thatch. 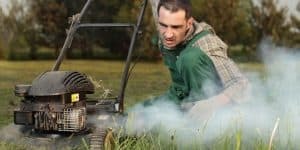 Using too much water or fertilizer that is made with nitrogen can also help. At the right time, dethatching can still make all the difference.